While many people get the competitive rush from playing card/board games, video games, sports and the like, many others add the aspect of gambling to the competition. While it’s possible to responsibly gamble (moderation is key, as does gambling with items of little-to-zero monetary value), some people can easily get swept up in it. 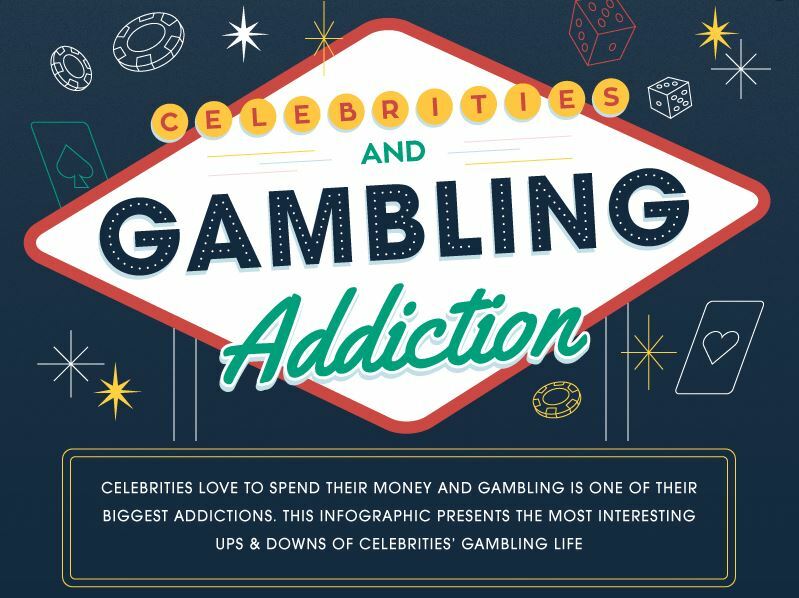 The following infographic after the break titled “Celebrities & Gambling Addiction” contains a ton of sourced information about many celebrities and their different backgrounds with and the ups-and-downs of gambling addiction, from the small, to the moderate, to the potentially (and “actually”, in some cases) devastating. Previous Previous post: “Cuphead” Is Constantly Punishing Me and I LOVE IT!